By CNN'S MAEGAN VAZQUEZ AND TED BARRETT CONTRIBUTED TO THIS REPORT. (CNN) - President Donald Trump's attacks on the late Sen. John McCain are "stupid" and "socially unnatural," Anthony Scaramucci said Thursday. "He's hitting something that is socially unnatural. And so what is that? 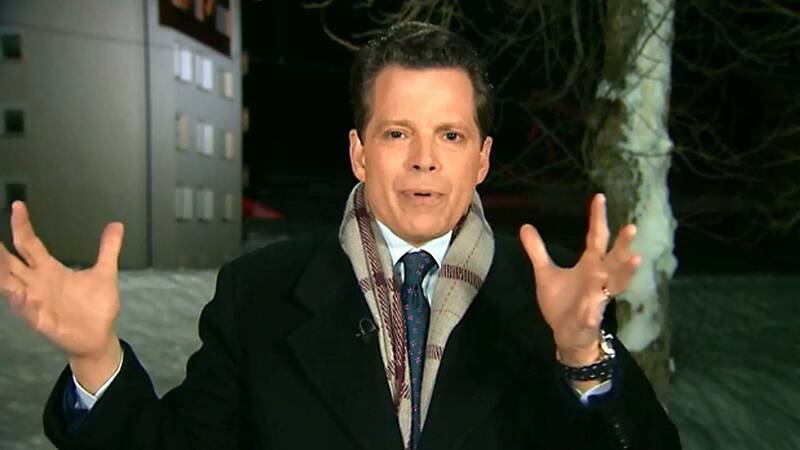 You're attacking somebody that died seven months ago," Scaramucci told CNN's John Berman on "New Day." "Now, I understand the point and I understand the grievance that the President's bringing up, but you're not scoring any points with anybody." "I think it's stupid. I'm being very declarative here. I think it's stupid," Scaramucci, whose short-lived tenure as White House communications director imploded due to his combative personality, said later. "There's no strategy that you can tell -- other than the fact that you're frustrated and you want to ventilate your frustrations into the international airwaves. OK. But I think it's stupid." Over the weekend, Trump revived his long-running feud against McCain -- who died in August after a long battle with brain cancer -- citing his ties to the controversial Russia dossier and his vote against repealing Obamacare. He said in the Oval Office on Tuesday that he was "never a fan of John McCain and I never will be" and complained on Wednesday that he wasn't thanked for giving McCain "the kind of funeral that he wanted." Scaramucci told Berman that he "always got along with" McCain, adding that he was a decorated Vietnam War veteran. "The President has the support of millions of veterans in the United States. I don't think those veterans are in love with the fact that he's attacking John McCain," he said. The former aide also speculated about why only a few Republicans have criticized Trump's comments, saying that it's likely because they "don't want to get in the Twitter crosshairs."